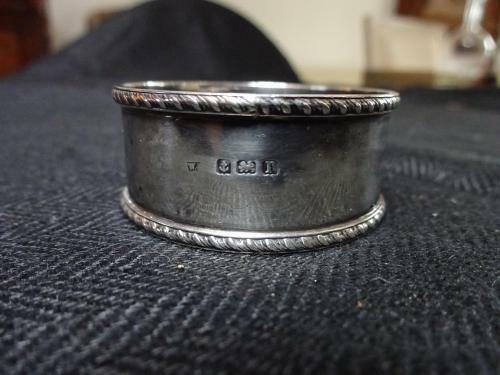 Charming Sterling Silver Napkin Ring, Hallmarked Birmingham 1916 maker slightly rubbed W?. In Good Condition. Weighs 13grams & measures 4.6cms in diameter by 2cms high.